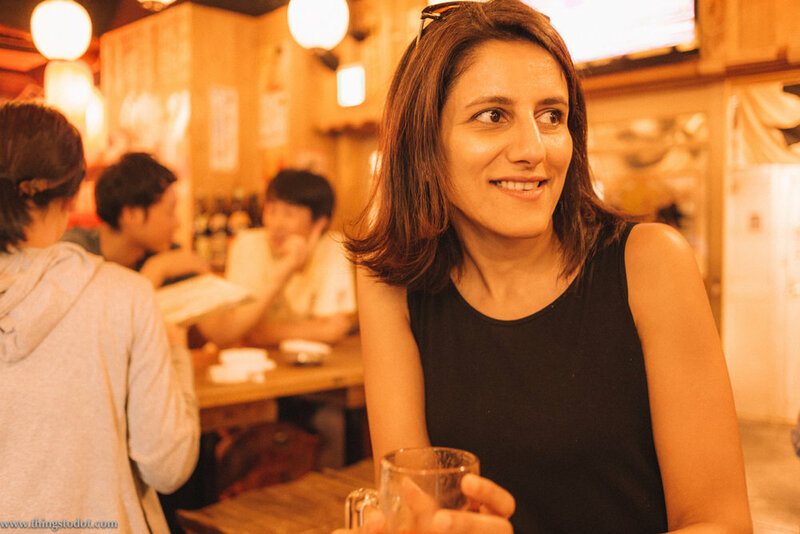 After visiting the Zozo-ji Temple in Daimon and walking through the International Shopping Arcade in Shimbashi, my friend took me to an Izakaya - a type of an informal Japanese gastropub, located between Shimbashi and Yurakucho. It was only when we arrived there that I discovered what an Izakaya actually meant. It is really the Japanese version of a bar or a pub where people gather after work for drinking. Izakayas also specialize in grilled meats, fish and vegetables, sashimi and other casual fare. SInce I don't drink, I ordered myself a tomato juice and grilled meat to go with it. It was a nice way of experiencing the Japanese culture. Being a Saturday evening, most of the Izakayas in Shimbashi were full and we had to walk a good distance before finding one with an empty table! 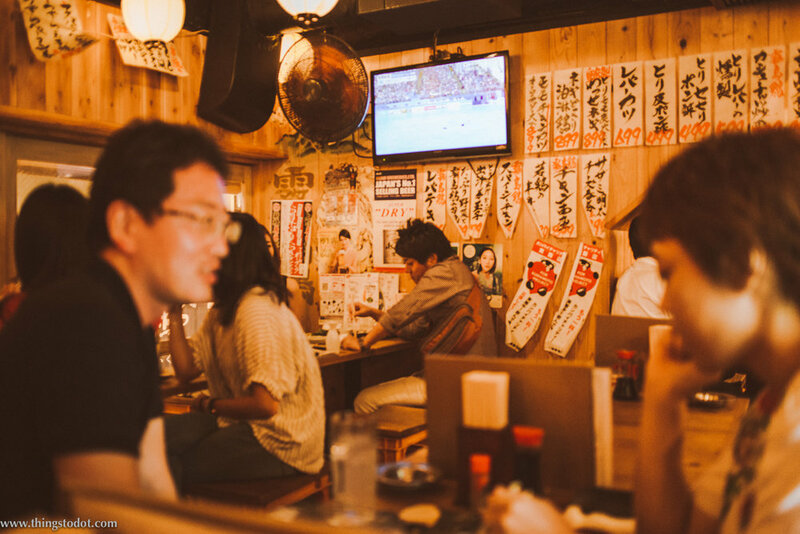 An Izakaya can be spotted by the doorway curtains (called noren), red lanterns and chalkboard menus displayed at the door. Shimbashi is full of them. The area is easily accessible on four major JR Lines – Yamanote, Tokkaido, Keihin Tohoku and the Yokosuka Sobu lines, along with 2 Metro (Subway) lines – the Ginza line and the Toei-Asakusa line. Kitchen in a Japanese Izakaya, Shimbashi, Tokyo, Japan. Image©www.thingstodot.com.